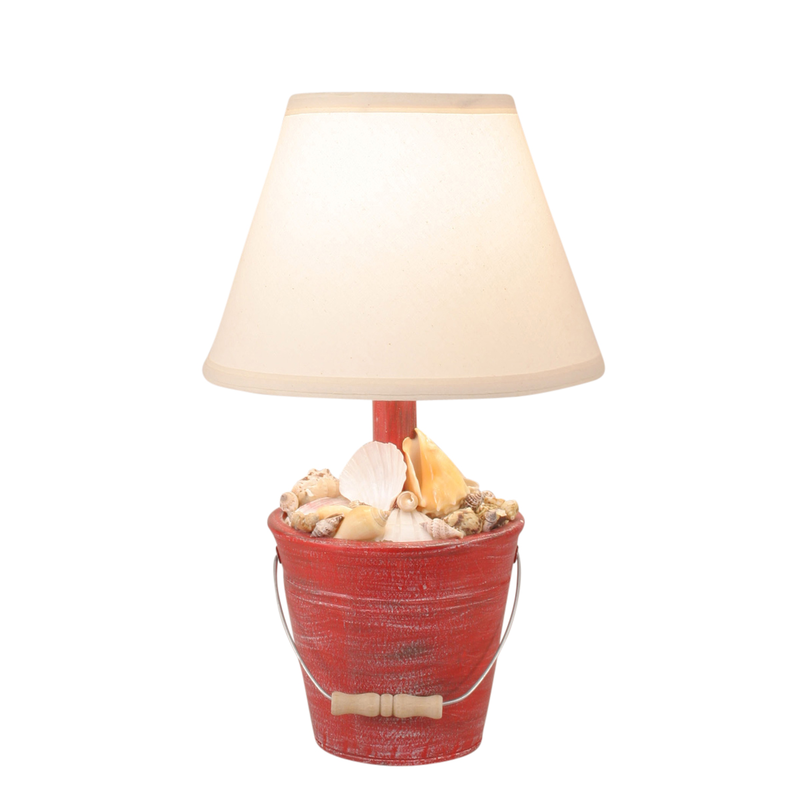 Shed light on your gatherings with the Red Mini Bucket of Shells Table Lamp. These beach table lamps are crafted with a pail base filled with faux seashells and a metal handle for lovely seashore flair. Uses one 60-watt max bulb. Ships from the manufacturer. Allow 1 to 2 weeks. Cannot express ship. For more pieces, we invite you to take some time to review our extensive array of beach table lamps at Bella Coastal Decor now.